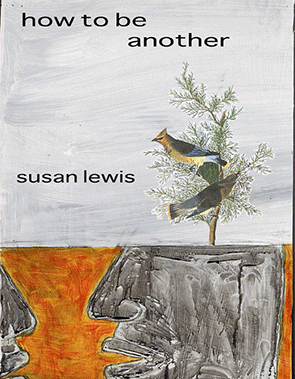 I want to thank Susan Lewis for answering my questions. 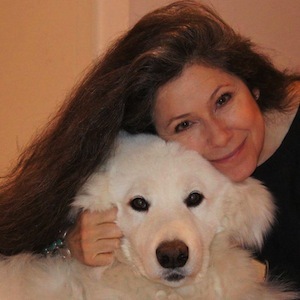 She is the author of several books, including This Visit and How to Be Another. I’ve always been a voracious reader. When I was seven years old, I read a collection of haiku by Basho. I was entranced, and became passionate about writing Japanese forms. I went on, as a child and adolescent, to write all kinds of poetry, as well as short stories and plays. How have you developed creatively since then? I still consider my writing identity a work in progress, and I suspect I always will! After high school, I didn’t write at all for a number of years. When I turned back to it, I wrote short fiction, which is what I worked on for my MFA. Later, I tried my hand at writing a novel. Only after that did I return to my first love, poetry. Over time my poetry has moved from more-or-less traditional free verse lyric to prose and lineated poems that are more fragmented and narratively unmoored. That said, I still write some prose poems that resemble surrealistic parables or fables. What kinds of writing do you wish you did more of? I would like to create a collection of poems that is more tightly linked, more of a “project” book, if you will, mostly because this is something I haven’t done yet! But I’m not sure if I’m temperamentally suited to the task. I’m also interested in trying my hand at more collaborative work. I’ve collaborated with a visual artist, Melissa Stern, a composer, Jonathan Golove, and another poet, Mary Kasimor – all rich and stimulating experiences, which have whetted my appetite for more. In what ways has academia shaped your writing? Actually, I tend to think of myself as a well-educated outsider poet, because I don’t work in the academy, I didn’t get my MFA in poetry, and I never studied poetics or took a poetry-writing workshop. But I was a double major in college, at UC Berkeley, in English and Film Theory and Criticism, so I’ve been formally educated in the Anglophone canon, and self-educated in 20th and 21st century poetry. In what ways has life outside of academia shaped your writing? I suppose the biggest influence on my writing is my reading. I’ll never stop turning for inspiration to John Keats, Henry James, Emily Dickinson, James Joyce, Samuel Beckett, Gertrude Stein, John Ashbery, Michael Palmer, Joshua Clover, Jorie Graham, Bin Ramke, Octavio Paz, Julio Cortazar, Franz Kafka, Russell Edson, Rae Armantrout … My work is also influenced by contemporary political and social justice issues, as well as the interpersonal dynamics that infuse my personal life and relationships. Are there aspects of your writing that readers might find challenging to them? I’m afraid so! Not only does my poetry continue to move away from linearity and representation – it also tends to be a bit dark, in terms of tone and content. I’m driven to grapple with the most difficult aspects of consciousness – mortality, primarily, but also what I consider the fundamental isolation that derives from subjectivity itself. The irony is that I am a fundamentally energetic, optimistic, upbeat person, who is blessedly surrounded by enduring and extremely rewarding intimate relationships! For instance, my husband and I fell in love when we were still in high school, and have not yet fallen out! 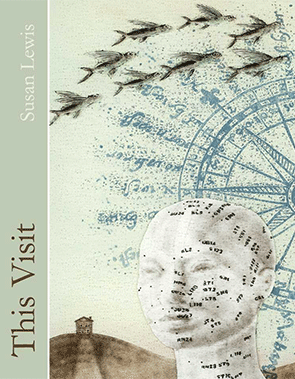 Enjoyed this interview so much with the amazing poet Susan Lewis. I’ve read her 3 books, all of which are fascinating and inspiring.